We have read, heard many stories about Ice Age and the beautiful glaciers that were born as a result of Ice Age. Glacier Bay is one of the example that used to be all glacier and there was no bay. 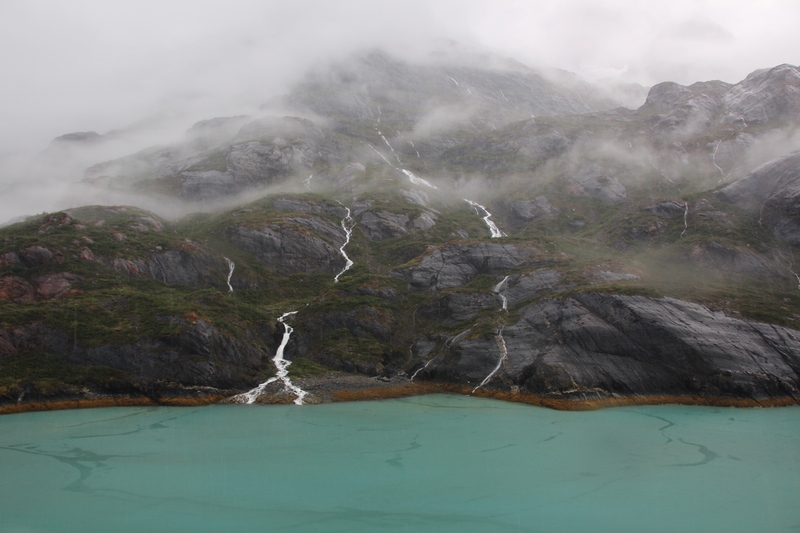 Today we have the glacier bay formed by the immense river bed of ice that stretches several miles long. The changes in climate is happening at a much more faster pace in these regions and we dont know how glacier bay will look like in our time period. Glacier Bay can be seen only via cruise or boat. If you ever take a cruise to Alaska, I would highly recommend to take the Glacier Bay route. 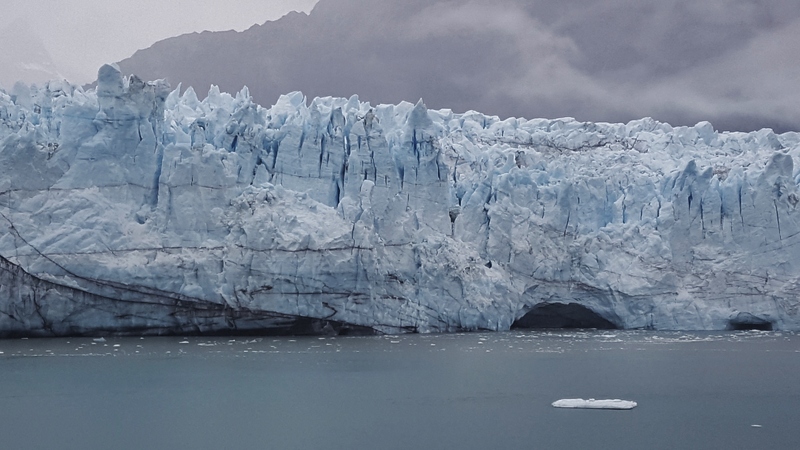 You will get to experience the 360 view of the glacier from your cruise ship. 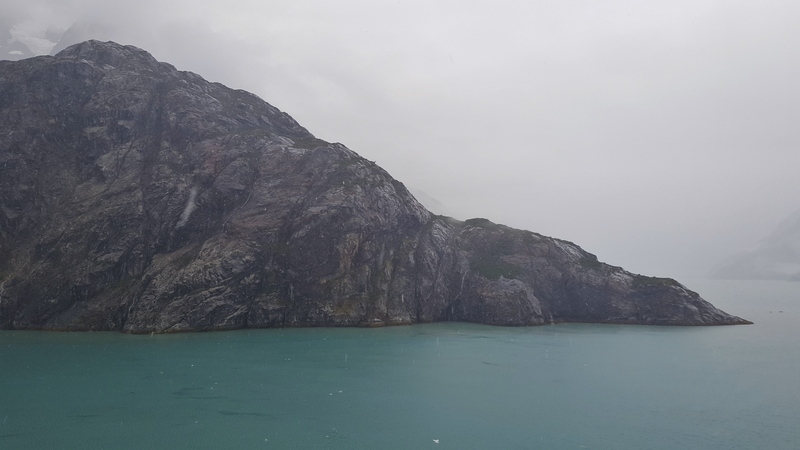 Most cruise ships have rangers in a common area narrating the glacier bay history and the wonders that inspires everyone about this beautiful preserve in Alaska. On our arrival to Glacier Bay, our captain announced that we were approaching our first glacier point in 30 minutes. It was a very cold day combined with rain showers that did not slow me down to just head out and enjoy the views. 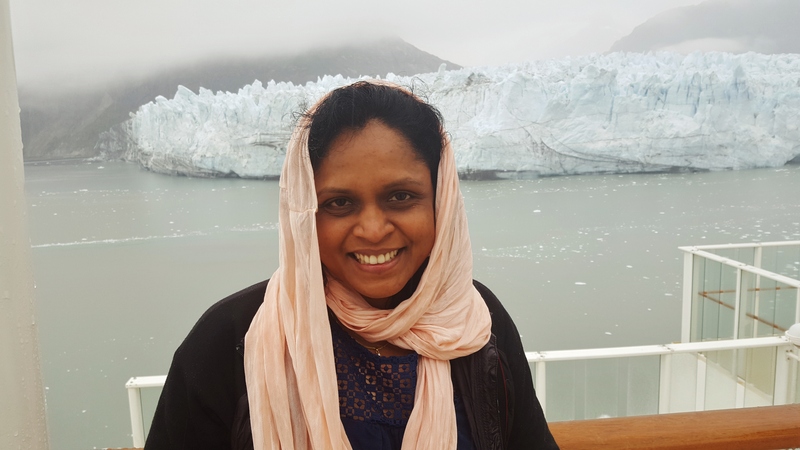 The Margerie glacier was my first sight and i was truly spellbound seeing the icebergs all shining and beautiful. I also learnt from the rangers that glaciers fed by heavy snow extend to the sea and calve icebergs from their face. 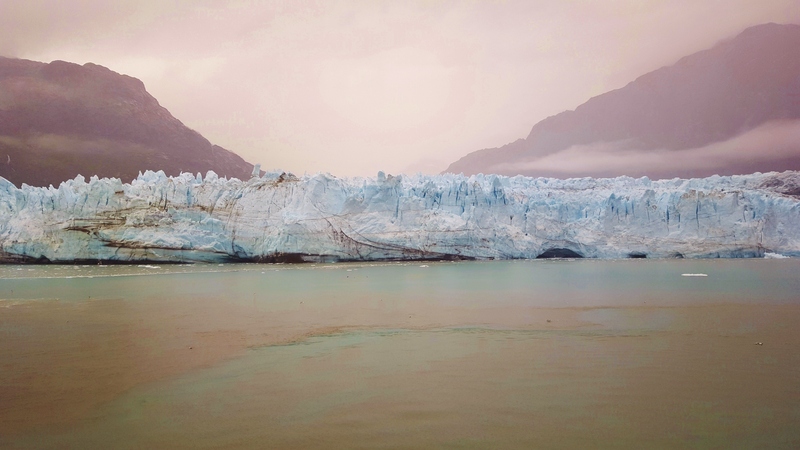 There were glacier calving sights as well which are basically chunks of ice that break off glaciers and fall into water. At one point I felt like a kid wandering around, who doesn’t care about rules and just enjoy the moment :-). I was continuously clicking multiple photos, sometimes even the same views and did not get bored. We moved past several tidewater glaciers on our way and was very impressive to watch small waterfalls flowing from mountains to the sea. 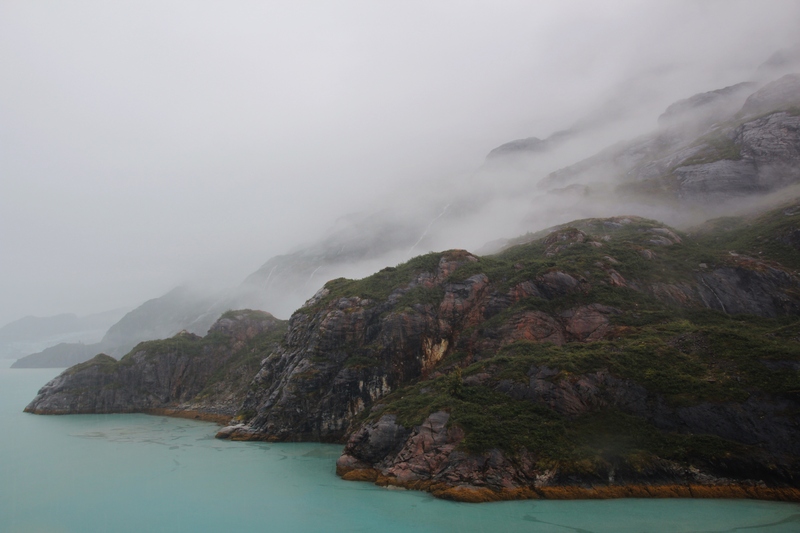 The cold rainy weather turned the entire scenic views of the glacier bay into another mystical experience. As I walked to the top of the ship, the entire scene around me resembled an island like the one in Jurassic world. There were so many mountains surrounded by water covered by fog and mist. My journey through glacier bay keeps me thinking there is still more to explore for mankind in this lifetime and we will continue to reveal more surprises in the years to come. I have always loved Alaska for its stunning, gorgeous glaciers, wildlife and vast beauty of the wilderness. This looked like a dinosaur as we moved past the fog.